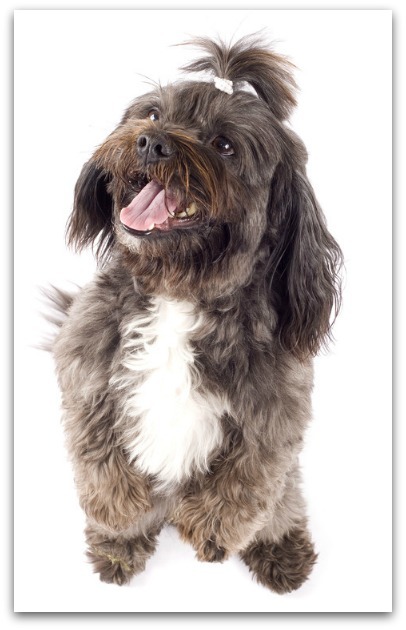 The Havanese is intelligent and bright, easy to train dog breeds as a watchdog. will plays endlessly with them. The Havanese originated comes from earlier breed Cuba. These dog first called as "Havanese Silk Dog" and "Blanquito de la Habana". He is one of the older breeds in the Bichon family. After the Cuban revolution, these dog breeds almost extinct. However, an American breeder began working to save the breeds from that fate. Today, they were very popular with the royal families in England, France, Spain and US. These dog breeds was registered with AKC in 1996. The Havanese has a silky double coat. The outer coat is very long, soft, flat and slightly wavy, while the undercoat is soft, woolly and not very developed. Some puppy will born short and smooth coats. The coat colors comes with many colors, including white colors the common color, gold, cream , silver, black, chocolate, blue, parti and tri-colors. The Havanese is intelligent and bright, they is always eager to learn. Socialization training is a good idea, to train them to become a good watchdog. In the training, should teach them do not always barking when is unnecessarily and also prevent from become a habit. So that they easy to get good along with other dogs and also very easy to train. They maybe difficult to housebreak, should train with firmness, fairness and consistency and this should be done well. Havanese make a wonderful therapy dogs. They long flowing does requires some care. They requires brush with soft bristle brush and comb with curry bomb daily to prevent tangles and mats. bathe or dry shampoo when is necessary. Check the eyes and ears regularly to keep them clean always. This dog breeds is good for allergy sufferers because They sheds no hair at all, and is not hypo allergenic. You'll never find a hair in your home! The Havanese is extremely friendly and affection, they will follow you anywhere you go. They love their families members and love children too, and can also very good with smaller animals. They are bright and intelligent, so he is easy to train. They is a good watchdog, they will inform you when strangers is approaching.